Nero Wolfe and Archie Goodwin must help a rich old woman whose husband is getting money in a most mysterious way. But when the case leads Wolfe to the most dangerous man in the U.S., he knows that if he wants to live, he will have to do the one thing that he has never contemplated--run and hide. After leaving the Navy in 1908, he became an itinerant bookkeeper and then worked as a sight-seeing guide, bookstore salesman, stablehand and hotel manager. Later he devised and implemented a school banking system which was installed in four hundred cities and towns throughout the country. In 1927 he retired from the world of finance and began writing. In 1941 he became chairman of the Writer's War Board, and in 1943 he was elected president of the Authors Guild. He was married to wife, Pola. Rex Stout has a Legacy Library. Legacy libraries are the personal libraries of famous readers, entered by LibraryThing members from the Legacy Libraries group. » Rex Stout's legacy profile. Rex Stout is currently considered a "single author." If one or more works are by a distinct, homonymous authors, go ahead and split the author. 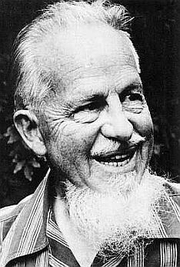 Rex Stout is composed of 24 names. You can examine and separate out names.